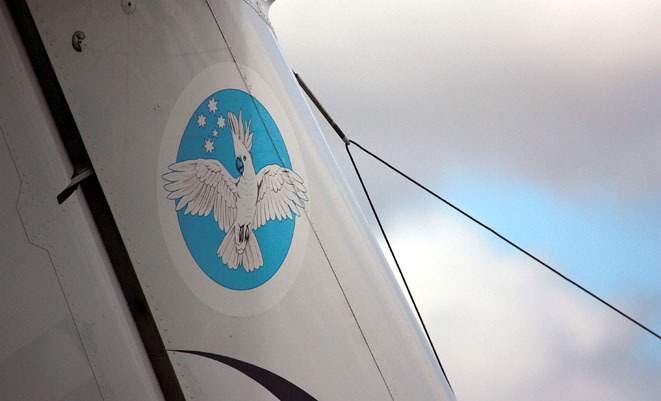 The tail of a 32SQN King Air. 32SQN RAAF’s eight King Air 350s recently achieved the 30,000 flying hours milestone since the beginning of operations in 2003. The aircraft, which are based at RAAF East Sale and are leased from and supported by Hawker Pacific, have been used by 32SQN and the School of Air Warfare predominantly for RAAF navigator/ACO and Navy observer courses. ”This program is a great example of what can be achieved through team work. We are proud to have committed staff who have worked hard to understand the needs of our…customer and then deliver against it,” Hawker Pacific general manager of government business, Craig Purry, said of the turn-key performance based contract. Under the agreement, Hawker provides all elements of support required by the RAAF, including aircraft supply, special mission modifications, design engineering, maintenance, project management and spares provision. The partnership has also seen the development of a ‘Hybrid Airworthiness’ solution, born out of a need to meet both military and civilian airworthiness management regulations. Hawker Pacific also supports the King Airs operated by the RAAF’s 38SQN at Townsville.